In today’s candidate-driven market, requiring physical presence for claims staff certainly complicates recruiting strategies. Work-at-home (WAH) is a popular practice for many industries already, but some insurers are reluctant to promise it to their employees and candidates. Requiring employees to commute to the office narrows the talent pool, restricting access to talented professionals who simply do not consider relocation a viable option. Some forward-thinking insurers who recognize WAH’s potential impact are making the transition to entertain a more expansive pool of candidates. What should modern claims executives consider when instituting WAH programs in order to derive the most benefit? Of course, digitalization is already the utmost priority for any insurer looking to thrive in the evolving marketplace. Today’s policyholders expect claims departments to process applications more quickly and efficiently. They expect to handle less complex claims entirely through digital channels. Moreover, they demand to receive accurate real-time updates on their claims status online. “Patience” and “waiting” are not the cornerstone of best-in-class customer experiences. 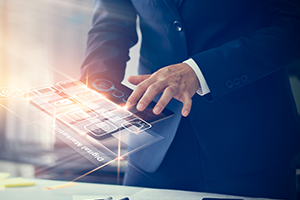 As a result, insurers understanding the value of optimizing customer experience are proactively investing in digitizing their departments and processes. But digitalization does not benefit just customers. As a matter of fact, the trend can also bring positive outcomes for claims executives who consider providing remote working options to their teams. 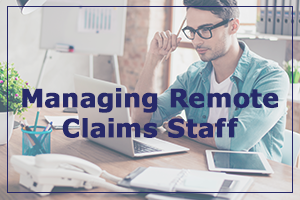 By allowing customers to submit claims applications and supporting documents easily through their electronic devices, employees can have instant access to everything they need to process claims. It is important leaders ensure their claims department moves beyond legacy systems and closer to end-to-end digitalization, which will also reduce the need for staff members to be physically present at the office. Many insurers continue to picture a typical WAH employee as a young professional with a personal laptop sitting in bed. Leaders often worry whether their employees may be tempted to slack off as a result of working too comfortably. They also question whether it is truly possible to manage WAH employees’ performance and engagement. And that is why claims executives should establish well-defined policies in regards to remote claims processors’ work environment and hours. WAH doesn’t mean people can work in coffee shops. WAH employees’ workspaces must meet technological and physical requirements. It is best if both sides set realistic guidelines on when and how certain tasks should be completed. It is also crucial leaders ensure their remote claims staff’s homes meet technological requirements. 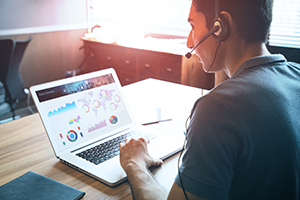 At the same time, managers must set clear and measurable deliverables and work with their employees to ensure remote staff members stay productive. For example, WAH employees should have access to high speed internet and have well-functioning phone systems installed in their workspaces to replicate what they would have in the office. In addition, the WAH workspace must be distraction-free and outfitted with any additional equipment necessary to perform job responsibilities. Just because someone isn’t physically in the office doesn’t mean they require less training or onboarding. In fact, the level of training and onboarding must be same for all employees whether they work in or out of the office. Remote staff members are still critical contributors to departmental initiatives who participate in team meetings and projects as assimilated members of the organization. It is advisable claims leaders develop distinct remote employee management strategies and onboarding programs to ensure WAH professionals can quickly make an impact. At the same time, managers and supervisors should use offboarding programs as a means to evaluate their organization’s telecommuting program. Employees are likely to provide more honest feedback to their employers when leaving the organization. By conducting exit interviews and post-employment surveys, leaders can discover areas for improvement and ways to optimize their WAH programs. It is also best insurers continuously evaluate their WAH programs by regularly holding surveys or implementing open-door policies. Some insurance leaders also worry remote employees will miss face-to-face interactions and thereby lose the connectivity and camaraderie that is prevalent in a traditional office environment. They are concerned WAH programs will lead to isolation, reduced productivity and lack of engagement. 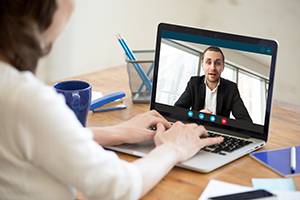 However, modern video conferencing programs, such as Skype, GoToMeeting and WebEx, can help employees facilitate strong teamwork and stay connected regardless of their locations. 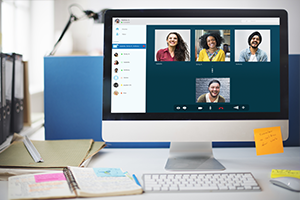 Online employee communication platforms, such as Yammer or Slack, allow WAH employees to build relationships with in-office and other remote staff and remain committed and connected to their work. But those video conferencing tools and corporate social platforms can only do so much. Claims teams should be spending some amount of time in-person. By holding annual company retreats, lunch gatherings or holiday parties, WAH employees and in-house staff can learn more about each other, deepen relationships and improve teamwork. Hosting in-office days would also enhance collaboration and camaraderie. As the war for talent deepens and the nature of claims continues to evolve, claims executives will need to consider providing WAH programs as a means t o stay competitive in the evolving marketplace. But only with the right preparation can these programs provide substantial value for organizations. Leaders need to digitize their processes and work systems while setting clear policies and guidelines for employees working remotely. It is also crucial managers and supervisors pay keen attention when onboarding, training and offboarding their claims staff to increase efficiencies and maintain productivity. 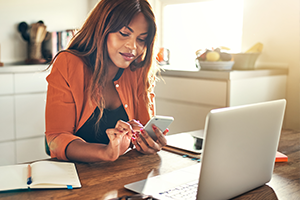 Insurers should wait no longer to embrace the virtual workforce and seize the opportunity WAH programs can provide for claims.